NAB 2019: When ATSC 3.0 Arrived? 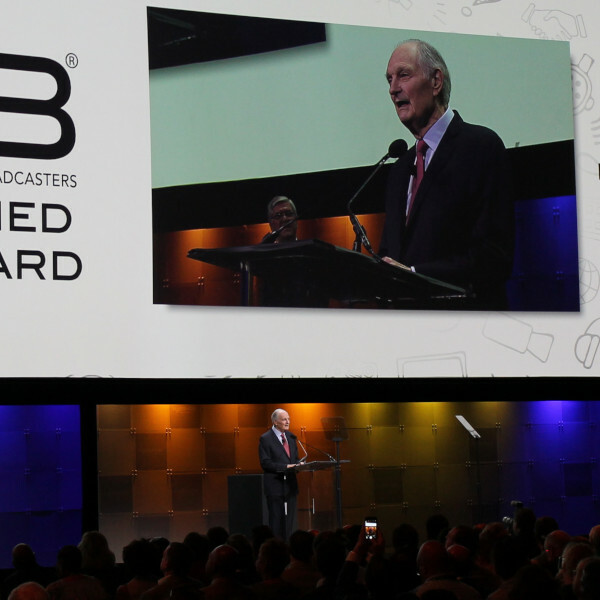 I’m back from the 2019 edition of the National Association of Broadcasters Show, which I’ve been attending since 2008. Back then, America was just about to switch to HDTV, satellite companies still enjoyed talking about the free-TV stations in their mixes, and the term over-the-top TV hadn’t even been coined yet. Now broadcasters are getting increasingly nervous about their online competitors even as many pin their hopes on yet another TV transition. NAB President and CEO Gordon Smith provided the keynote, starting off the show with a touch of cognitive dissonance. He said, “My own NAB Show story began a decade ago – almost to this day, in fact – when I spoke at my first show as the new president and CEO.” Except that Smith was off by a year – his first NAB Show keynote was April 12, 2010, about seven months after he got the job. I expect that someone on his team confused his 10th year with a 10-year anniversary. I truly enjoy Smith’s ability to state seemingly contradictory things without irony or shame. This year he praised TV localism while urging Congress to reduce ownership caps (which tends to reduce the number of locally based stations). And here’s an adjacent-sentence example: “First, modernize outdated broadcast regulations to allow us to compete on a level playing field … And second, increase regulation on the tech industry”. So the government should take a more active role, just not with broadcasters. Again, Smith does all this with a pleasant speaking voice while making every sentence sound reasonable. He’s obviously a great builder of coalitions, keeping a diverse group of large and small station owners on his side. He puts a likable face on a business that was built on a promise of public service but usually seems more focused on its bottom line. A coalition of station groups announced its plans to begin to deploy Next-Gen by the end of 2020. Among the many station owners quoted, I found the Sinclair Broadcast Group’s president/CEO’s remarks the most telling. Chris Ripley said that the new system would give broadcasters a better product “while creating entirely new services to diversify revenue and better serve the public.” That’s the best validation I’ve found so far for my theory of the real goal of Next-Gen TV. I think that some broadcasters want viewers to pay for what they watch. Maybe it’ll be for the 4K version, maybe it’ll be a license to record programs on a DVR, but my guess is that the next broadcast standard will include digital rights management and a subscription mechanism unless Congress or the FCC steps in. There was a smattering of Next-Gen equipment on display, but little that will be usable by typical viewers even when experimental TV stations get started. In general, there just wasn’t much viewer-focused news on the show floor. That makes a lot of sense; the NAB Show is to viewers what a zookeeper convention would be to the animals. The attendees are there to serve viewers, but viewers don’t contribute directly to the bottom line. Gordon Smith’s reminiscence led me to look back at my longer history of NAB Show visits. Every time, the show staff have treated me as a welcome friend, but lately I’ve been finding fewer relevant needles in this haystack. If you’re a broadcaster or a filmmaker, or if you have something to sell to anyone in those categories, the NAB Show is a great party and wonderful opportunity. If you’re a TV viewer, or you want to learn what’s going to benefit viewers, not so much.